Cote D'Argent luxury camping site is tucked inside a veil of lush vineyards and conveniently located by the Hourtin-Plage beach front. In the heart of the Bordeaux region, this idyllic tourist spot offers the twin aspects of beautiful Bordeuaux countryside and soft, sandy coastal areas. With its unique aquatique complex and wide choice of onsite amenities, it's a perfect holiday destination for families. To set your vacation in motion, get in touch with LUX-camp today. Welcome to Cote D'Argent Campsite. What's special about Cote D'Argent camping holiday? Exceptional pool complex with elaborate water features. Beach right on the site's doorstep. 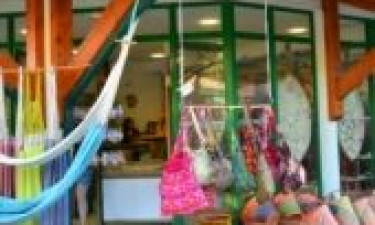 A great choice of onsite shops. Excellent selection of luxury bungalow and mobile home accommodations. Cote D'Argent has thought of everything to make your stay a memorable one. 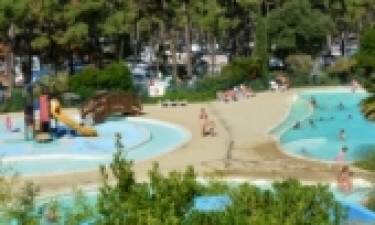 The aqua pirate water parc alone is enough to keep the family wiling away the sunny French hours. 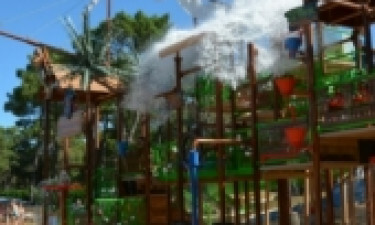 It has a built-in spray park with lots of water games plus giant jets with water buckets and cascades at the top of the main structure. There are also 4 giant flumes as well as two small slides. There are four other lagoons with water slides to keep the family entertained. There are no less than 4 playground areas on this superior campsite. There's also a very well organized kid's club for 6 to 11 year-olds. The club has great activities like art workshops, bouncy castles, pottery classes, face painting, fancy dress, sculpture, theme days, sports day, and mini discos. While you might think you’ll struggle to leave the luxury of your bungalow tent or mobile home, you won't be able to resist the sites endless, action-packed agenda of activities. Not just a fantastic location for the kids, LUX camp ensure adults will have a whale of a time here, too. Try out the resident tennis court. There are three table tennis tables or how about trying your steady hand at archery? If you'd rather a more vigorous activity, check out the onsite gym that comes equipped with all modern conveniences. The area is home to some stunning cycle tracks and you can hire a bike and get out into the beautiful countryside. Apart from the nearby beach, there's a lake where you can go fresh water fishing plus there's many surrounding walking trails to choose from. When it comes to dining and drinking, Cote D'Argent campsite offers quality and style. La Voile Rouge restaurant offers indoor and terraced seating in a relaxing ambient setting, and there's an onsite bar where you can quench your thirst while enjoying some light entertainment. There's also take-away service for those who don't wish to cook. There's a mini-market that stocks all you need for a luxurious camping experience. For those who want to pick up a souvenir, there's the artisan jewellery shop and the beauty salon next door is sure to thrill those looking for some extra skin care pampering treats.